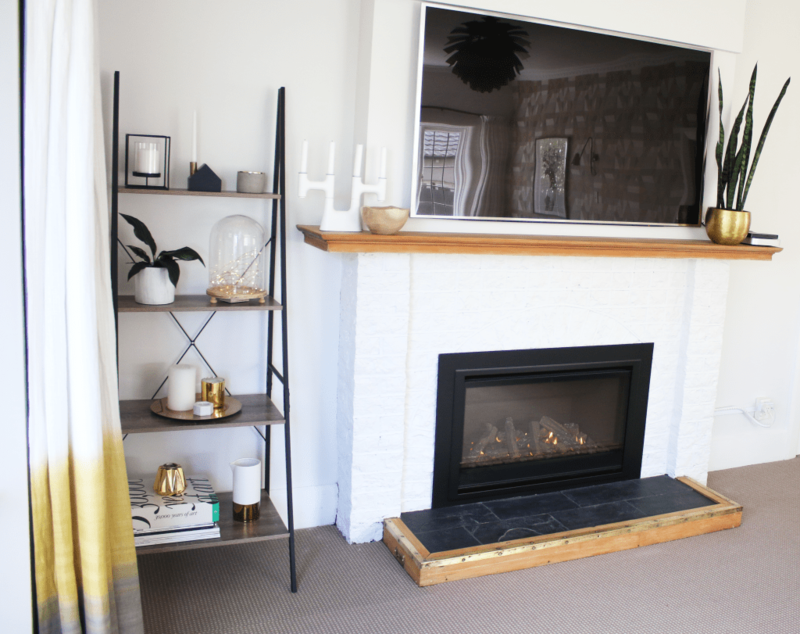 Living Room Makeover with an Escea retrofit fireplace. Nick and Rachel purchased their large, Arts and Crafts style manor as a ‘renovation project’ and top on their ‘to-do’ list was their large South facing living room. Nick and Rachel wanted the living room to be comfortable and a place to relax at the end of the day with family and friends. 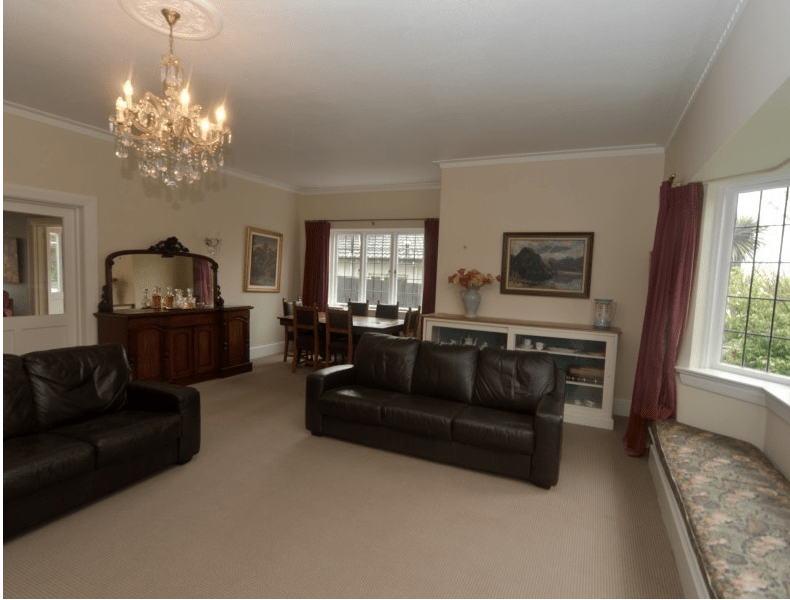 Up until now the room had been largely unused, with the couple gravitating towards the smaller living room in the house. That all changed after the makeover. 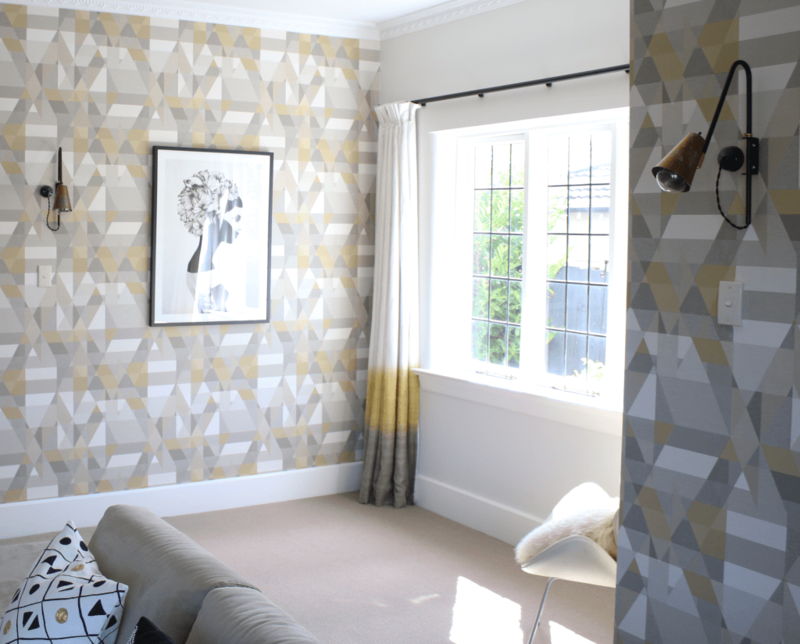 Gaynor freshened the room with Resene Merino and yellow gold accents were added for warmth and a touch of modern midcentury glamour. An Escea AF960 gas fire replaced the open fronted fireplace and became the focal point for the room, a move that Nick says has completely transformed the atmosphere of the space. “The living room is now a tranquil place to go. We can just sit here with a book and completely relax. Funnily enough we actually use this room more than anywhere else in the house now,” says Nick. 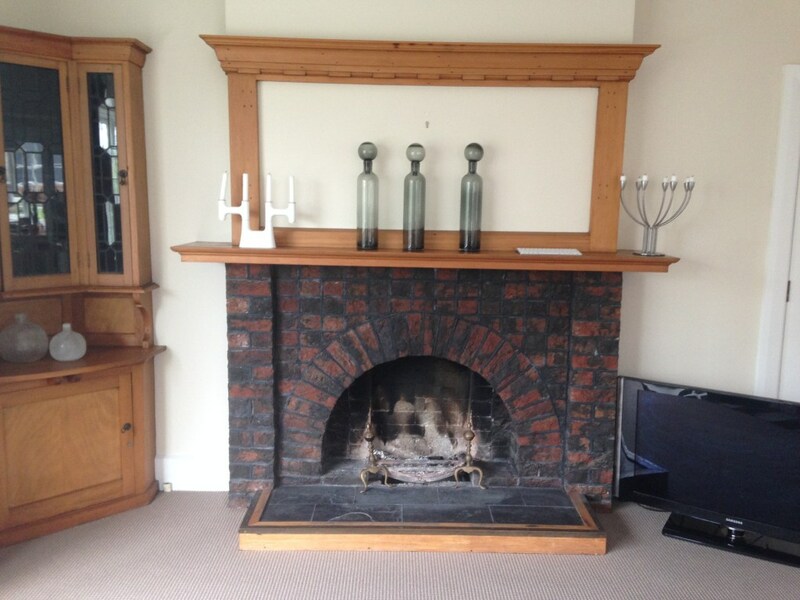 The brick fireplace surround was painted the same white as the walls. The top wooden frame was taken down and a TV was placed above the mantel. 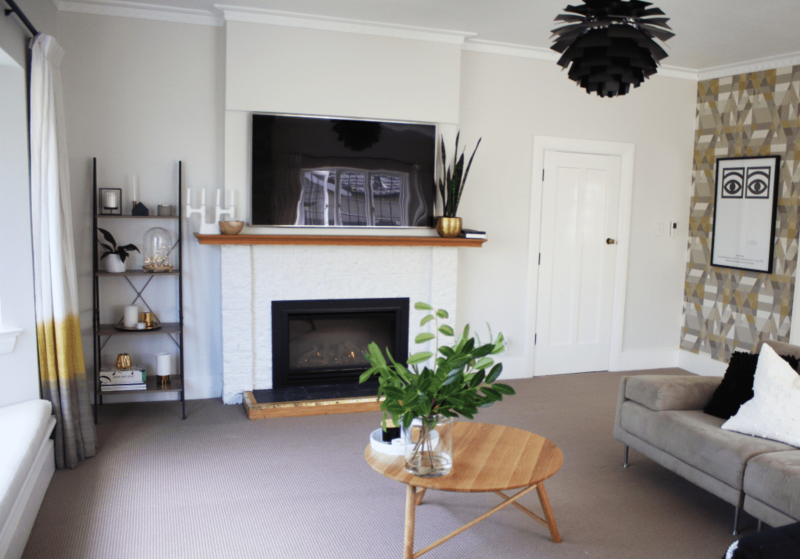 These easy changes had a huge impact once the sleek and modern gas fireplace was added to the mix. 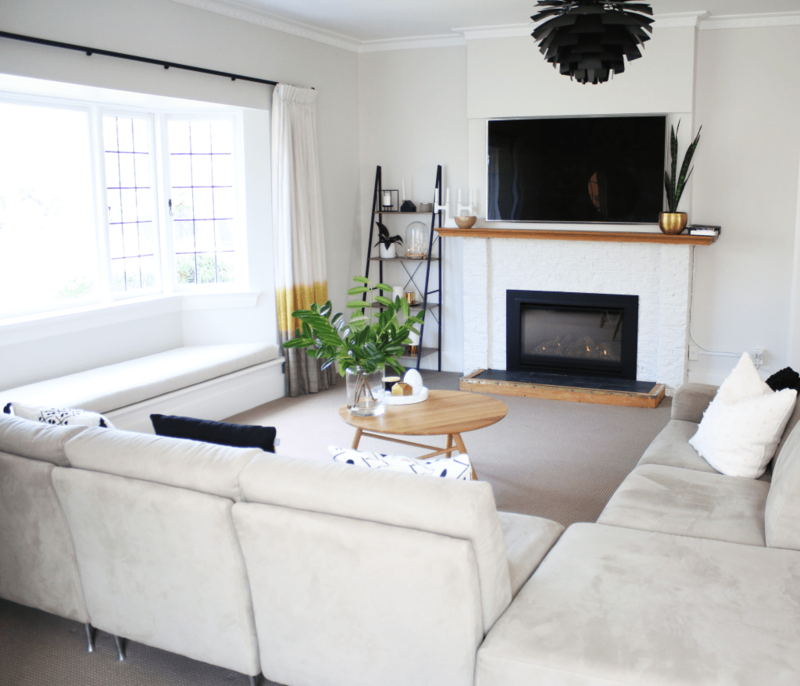 Initially Nick and Rachel planned to put a new wood fire in but after further research and guidance realised that their lifestyle was more suited towards a gas fireplace. “This was music to my wife’s ears. Her opinion was always that gas fires look better, we just thought that wood would be more cost effective. As it turned out that was not true for the way we would be using the fire,” explains Nick. The AF960 has been superceded by the DF960.